It will go unnoticed by everyone but me, but it is a feeling of humble pride and happiness today. Today marks exactly one year since I have had a space at Aunt Bee's House. 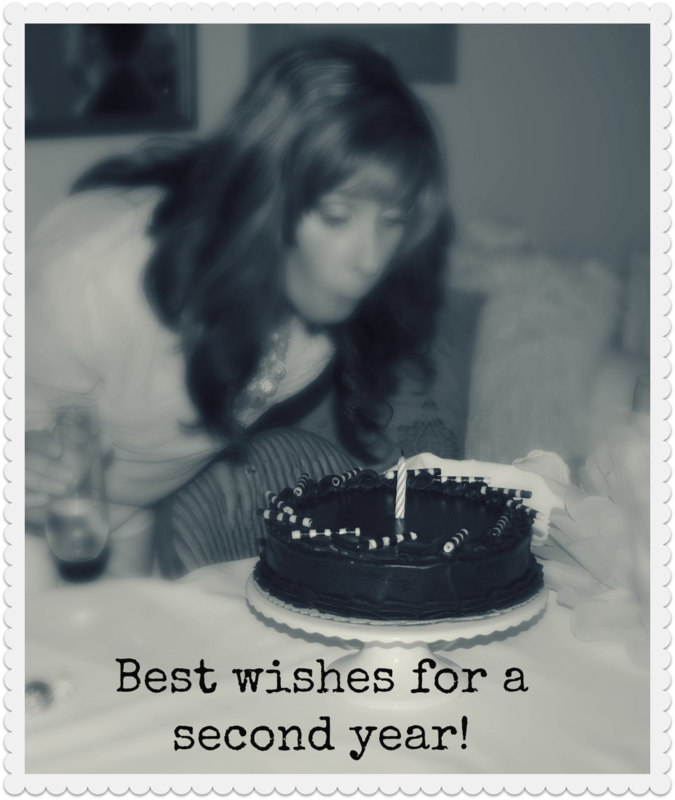 It's been an amazing year, and I have learned a ton in one year's time. I started out in a little L shaped space and was so nervous I wouldn't sell enough to make my rent back. I can't remember how much I sold, but it was a thrill to see items leaving my space in that first month. And I made back my rent, plus. 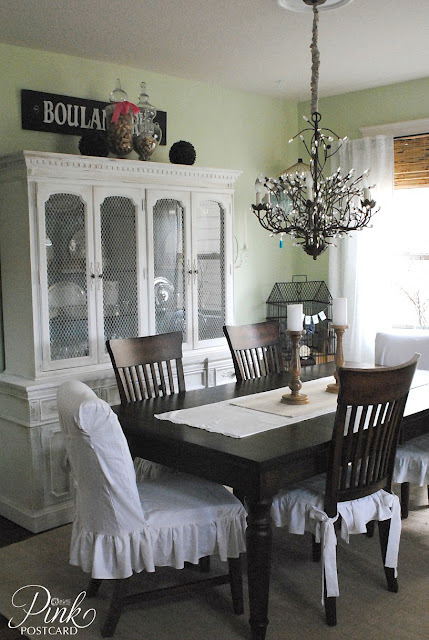 In mid December 2011, I found an amazing piece- a huge, vintage Thomasville hutch. It was too good a price to pass up, but I didn't know how in the world it would fit into my tight space. By February I had expanded- a whole 5 feet of wall space. It gave me more room to add furniture in, but it was still a tough spot to work with. That same month, after talking to the owner about the large hutch, she agreed to let me put it in the "ever-changing room", as it was called. 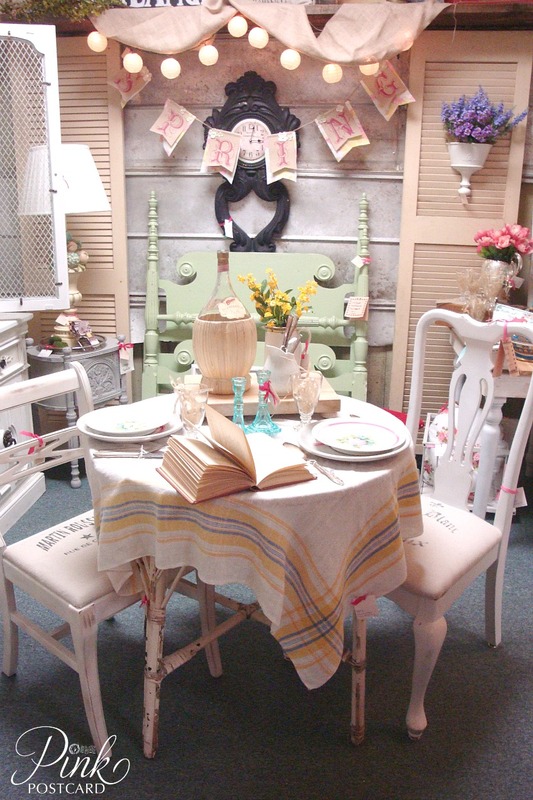 A room in the store that was changed out seasonally, and with several vendors pieces featured there. It was my favorite room in the store, and I was thrilled. I even mentioned on my blog that it was a dream of mine to be in that space someday. 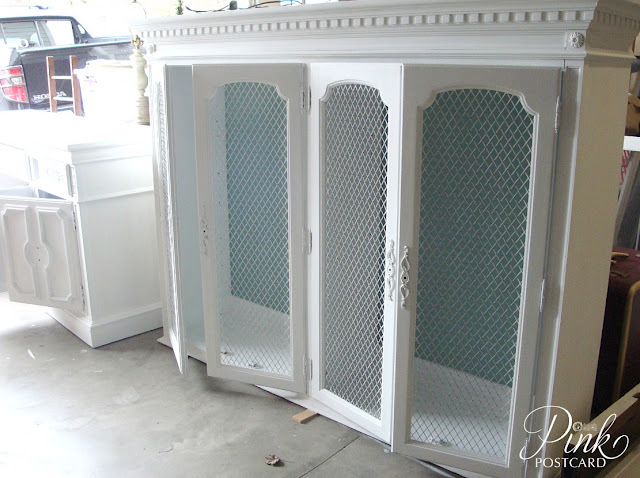 I'm not sure if Belinda got wind of that blog post, or if it was Providence, but shortly after putting the hutch in the room, I was offered that room as my own space. Since March, I have had my goods for sale in my favorite space at Aunt Bee's House. July 2012, freshly painted white walls! It has been fun to work in, transform, and decorate. Like my own little shop. I've gotten to know some pretty sweet and encouraging people there. People who have inspired me, and helped me out as a newbie. They are a fun bunch to work with, and I feel so fortunate to have a positive place to be in. 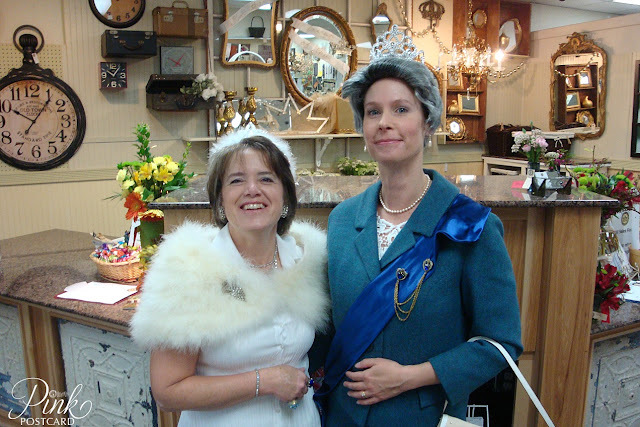 Queen for a Day event at Aunt Bee's House- with the Queen Bee herself, and me, dressed as the Queen Mum. I'm still so new at this, and I feel like I've been a sponge soaking up every bit I can from those around me. And there's so much more to learn! Not without it's bumps though. The hardest and roughest learning point for me was the summer slump. In Oregon, when the summer sun finally rolls out in July, retail sales dive. There's always highs and lows in the retail business. I just wasn't prepared for how bad it would be, and how much of a failure I would feel like. It was rough, but I determined to hold my chin up and do the best I could next time. (P.S. 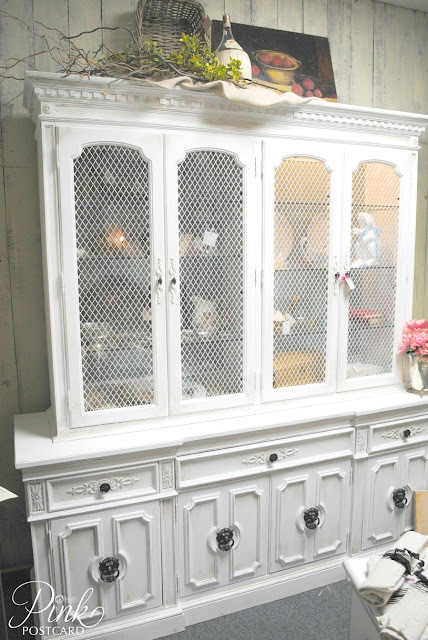 the Thomasville hutch never sold. It was a great piece that attracted a lot of attention to my space, but the word I kept hearing was, "if only I had the room for that big of a piece". Things picked up again once school was back in, and just last month, I met my first big goal. It was my best sales month ever. And I couldn't have done it without you! "your space is one of my favorites"
"you have such cute things"
I love, love, love what I do, even without hearing those things. I have so much more to learn, so many ideas swirling around in my head. I still feel like my product doesn't have "the look"that I want to portray. So I hope to refine that a bit, but still offer what people are looking for. I hope to improve and get better at staging. And, I hope to continue setting goals that make me challenge myself and realize that I can be a smart and creative business owner. Thanks so much for a great first year! I'm excited to see what the future holds! 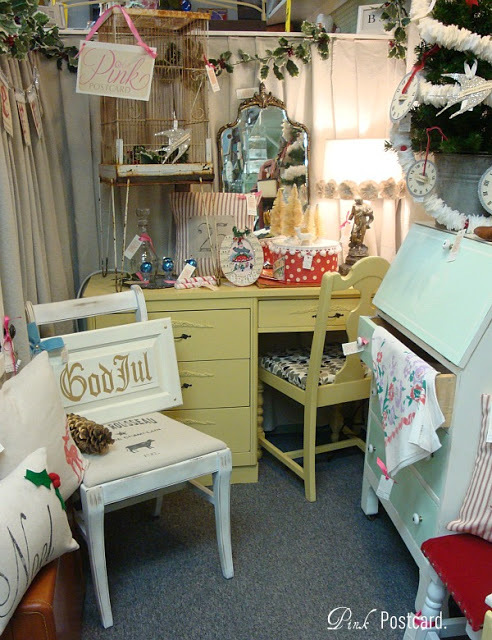 If you're local, it is a fun day of holiday shopping, food, and craft take aways. Lots of sales on vendors booths too! 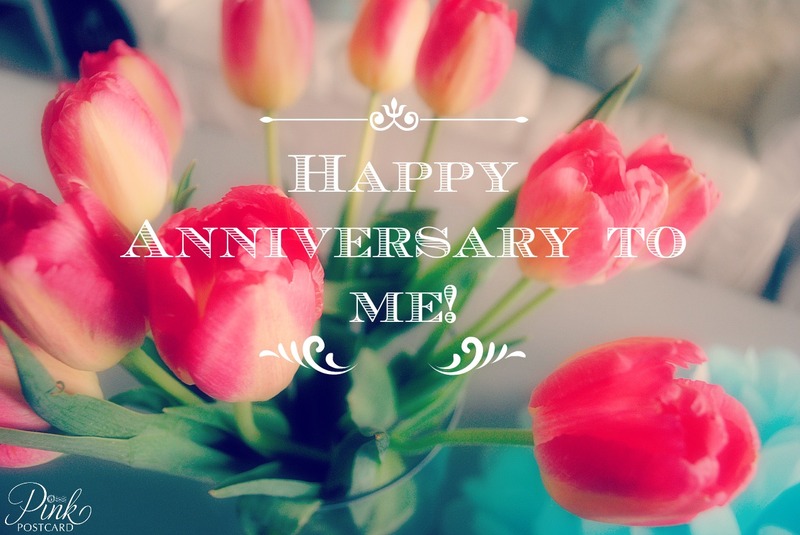 Congratulations on a successful year, Denise, and Happy Anniversary! My goal for 2013 is to get a space of my own. I'm on a waiting list at one of my favorite places to go, but I'll be seriously looking come January. All your things look so pretty in the pictures. I'm glad you got to keep that hutch; it looks fantastic in your dining room. Congratulations on one year! I hope you have many more! It was so encouraging to read this post because I hope to do this myself someday. Quite a milestone. Action does have power and magic. It's as if once started, the universe clears a path( not entirely without stones of course, or what would we learn?). Proud, and yes, a little envious of you. You've inspired us to take the leap. Happy Anniversary, Denise. Congratulations! I can well imagine how you feel! I really can! I am still so amazed when people gush over my stuff and how much they love it. It's so fun to do what you love and have other people love it too! 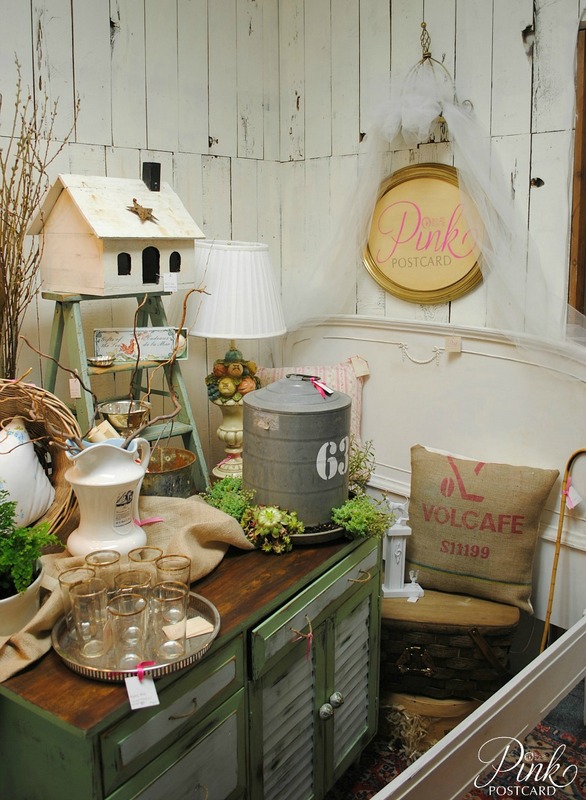 I'm hopeful that 2013 will be the year I set up a space in a store somewhere. 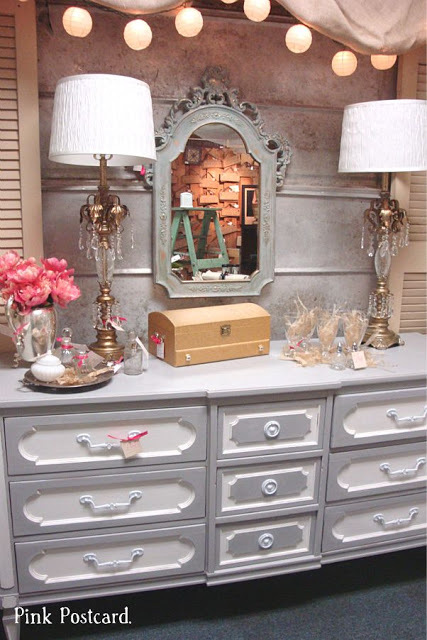 I need an outlet for my hoarding of vintage goodies and to create my painted makeovers and move them out of my house! Your story is so inspiring too me - the summer sales slump was good for me to read too. I've heard of that and it was just good to hear that it was hard for you but you made it through! I'm sure I will remember your post when I am dealing with the same issue! How exciting for you! 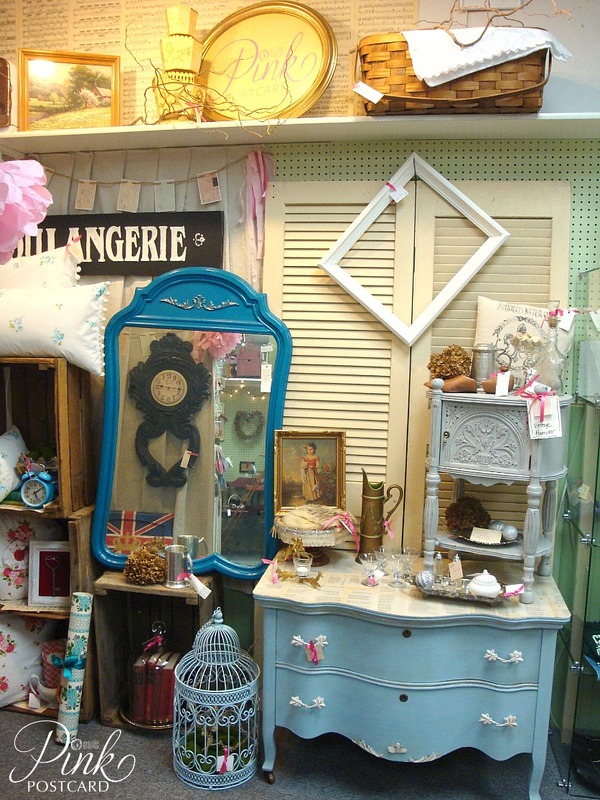 The pictures show such a lovely booth. May you have much success for many years to come. Congrats on your 1 year anniversary, I hope it is just one of many, many to come! Your space looks amazing and it sounds like a dream come true.